I liked Terri’s post so much that I thought I’d post on a few of my favorite things in Frederick, Maryland too! There are so many things that I love about Frederick and Terri actually mentioned a bunch of them, such as our hair salon, our go-to restaurant, and our mechanic. But I do have some other things about Frederick that are my favorites. 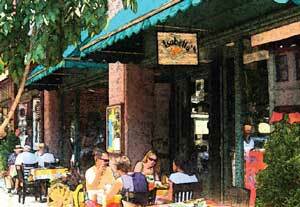 Favorite Date Night Restaurant: Isabella’s Taverna & Tapas Bar – Love, love, LOVE this restaurant. It’s located in downtown Frederick, which I have to say is just the cutest little town around. 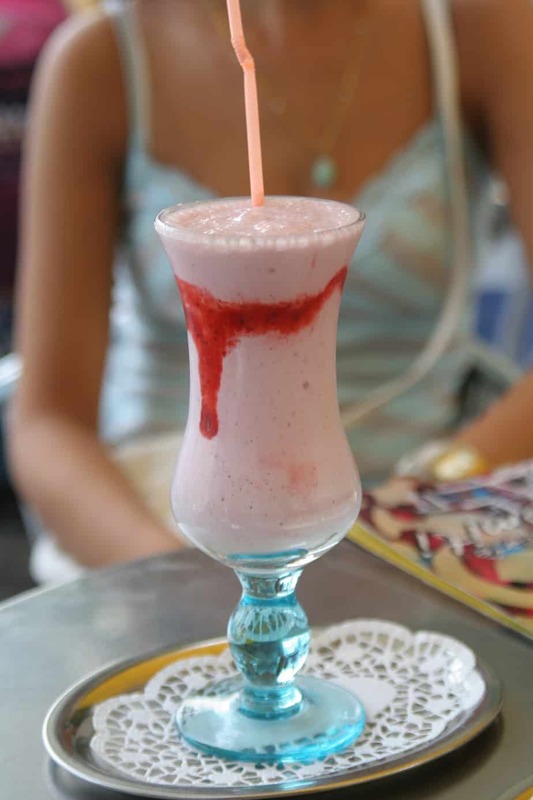 Isabella’s is a Spanish restaurant which specializes in serving tapas – small appetizer size dishes meant to be shared among 2 people – hence a great date place. The food is delicious and the ambiance is perfect for getting closer to that someone special. 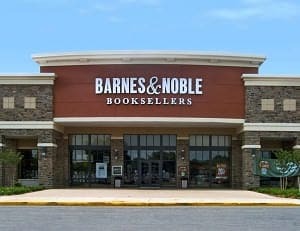 Favorite Book Store: Barnes & Noble – Honestly, I don’t think there are too many brick and mortar book stores around anymore since eBooks have totally taken off, but there’s nothing like the experience of sitting in a big cushy chair and grabbing a bunch of books and sitting down to peruse them before deciding which one or two or three to buy. They also have a little coffee cafe where you can buy a coffee and a sandwich and sit, relax, read a book, or even use their WiFi. Favorite Athletic Shoe Store: If The Shoe Fits – This place is a haven for athletic shoes, not just for runners but for middle-aged walkers such as myself. I have to tell a story about a couple of years ago when I decided to start walking to lose some weight. I was walking full steam ahead and ended up fracturing my foot. I went to a podiatrist who recommended a particular orthotic to use inside of my walking shoes. I also decided that I needed to get a good quality pair of walking shoes. I went to If The Shoe Fits and had a great experience. Because of the uncommon size and width of my feet I had to try on a bunch of different shoes. The salesperson was very accomodating with me and even had me walk on a treadmill to see how my foot moves when I walk. I left there with a mens pair of Saucony shoes and absolutely love them. I’ve walked many many miles in them and they feel like I’m walking on a cloud. The prices are reasonable at this store too. Favorite Place to Take the Kids to Burn off Some Energy: Pump It Up – This place has 2 rooms full of inflatable slides, bounce houses, and obstacle courses. The kids take their shoes off and go to town for hours in this place. They come out sweaty and tired. Favorite Kids Eat Free Restaurant: Barley & Hops – I love this place because it is not a chain or a franchise. They are owned by a local Frederick group. They are a microbrewery and grill. They have a cool sports bar where you can belly up and watch the game. Plus, they have a really good restaurant with white paper tablecloths where even the waitstaff write their names in crayon. The kids meals are free here every Sunday AND the beer prices are reduced on Sundays too. The Daddies and the kiddos are taken care of. Favorite Local, Non-Chain Restaurant: Main Cup. If you can’t already tell from one of my previous posts on WiFi Hotspots, this is one of my favorite restaurants. I love the fact that it is close to where I live. But I really love the fact that this restaurant was originally an ice cream shop owned by the Main family over 100 years ago. It’s a cool little small-town coffee shop, a nice restaurant, and a great venue for local bands. Favorite Canoeing Spot: Monocacy River – It’s the third largest tributary of the Potomac and located right in Frederick, Maryland. My husband and I love to put the canoe in and take a little ride down the river with some small falls to make it exciting. Favorite Place to Go Bike Riding: C&O Canal – This is a great path that runs alongside the Potomac River from Georgetown all the way up to Western Maryland. It’s total length is 184.5 miles. 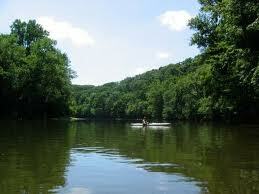 One of our favorite bike rides is to get on the canal in Brunswick, MD and ride to Harpers Ferry. It’s very scenic. 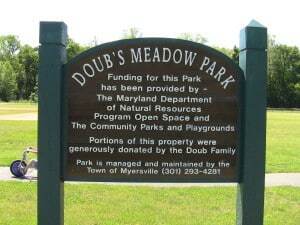 Favorite Park: Doub’s Meadow Park. As you can see from my original post on this park it is a personal favorite. It has a creek running alongside of it, a playground for the kids, 2 walking trails, a fitness course, dog-friendly stations, a covered pavilion, bathrooms, ball fields, and the overall beauty of its rural location. So these are just a few of my favorite things in Frederick County. 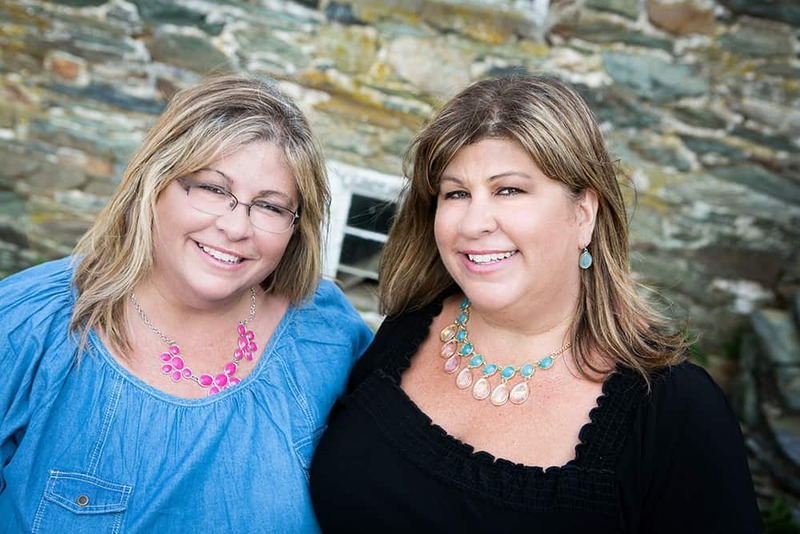 Now that Terri and I have told you our favorite spots, we’d love to hear about what your favorite spots in Frederick County are. So comment away and don’t be shy. That’s what we’re here for!